New Delhi: Meril Life Sciences, an indigenous global medical devices company, has received approval for commercialization of Myval-TAVR technology from the Central Drugs Standard Control Organization (CDSCO). The device is the first indigenously developed and manufactured Transcatheter Aortic Heart Valve Replacement (TAVR) technology. With this launch, Meril will become the first Indian company in the world and the third in India to make this technology commercially available. Headquartered in Vapi, Gujarat, India, the company received approval for the Myval TAVR technology on the basis of successful results from clinical study done in India. All patients are doing well post procedure and during follow-up. This novel Myval technology is associated with Zero new pacemaker implantation rates post procedure (which is an important benefit for the patient already treated for valve replacement). Pacemaker is an additional device that may be placed post TAVR procedure. TAVR is an established treatment modality for patients who are at a high risk or unwilling to undergo open heart valve replacement surgery. 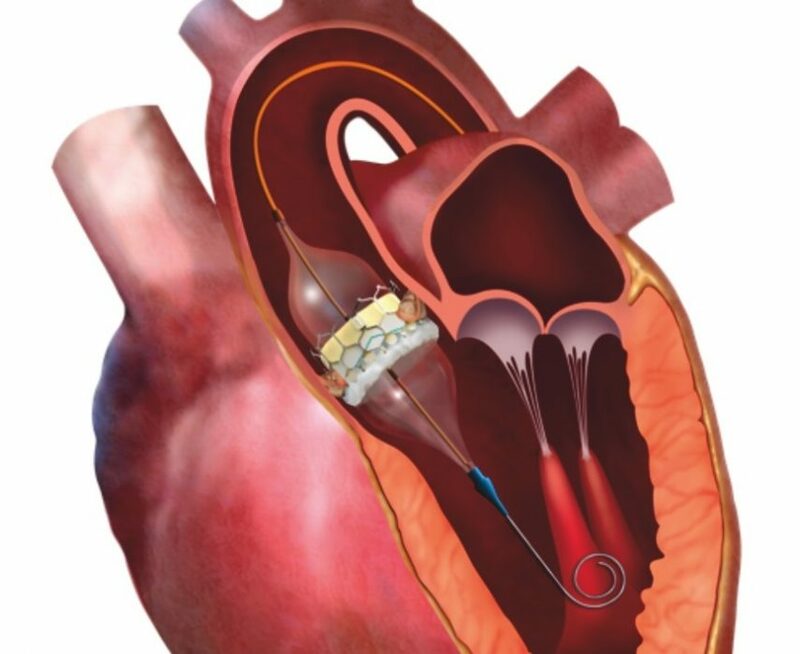 TAVR is a minimally invasive procedure in which the doctor places a replacement valve into the patient’s native diseased valve via a catheter inserted through the femoral artery (large artery in groin). This is an alternative way to replace diseased valves without undergoing traditional open heart procedure which some patients may not tolerate well.